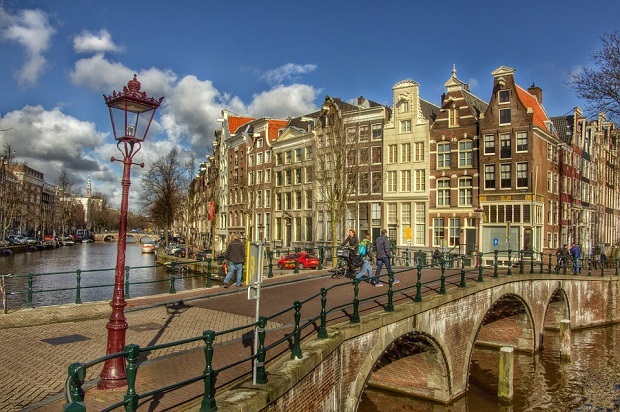 Entries from Digital Intelligence tagged with "netherlands"
Amsterdam tops the list when Brits are looking to book flights and hotels online, according to new research. Kantar and The The Netherlands TV industry body Stichting KijkOnderzoek (SKO) have teamed up to offer what it claims is the world’s first combined campaign reporting for TV and online combined. As digital technology becomes more accessible worldwide, which countries are most advanced and which are growing the fastest? This new chart from the Harvard Business Review takes an empirical look at the countries to watch (and which ones are losing out) in the new digital economy. The first spike in online Christmas shopping in the UK will be November 25th with a projected spend of £208 million, a 51% increase over an average day’s online sales, according to a new report. Big Brother producer Endemol in investing €30m (£25m) in a group of local and international digital video channels on platforms including YouTube, Yahoo and AOL. 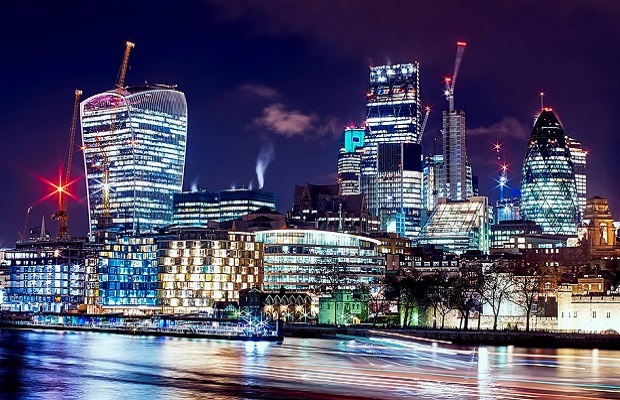 Shoppers are now ‘citizens of the world’, according to the latest stats from BRC which were released last week and show an increase of 23% in the online search for British retailers from overseas. This chart shows the demographic profile of social networks in the Netherlands. Of Facebook's 8,759 million unique users in the region, nearly 45% are over the age of 45. 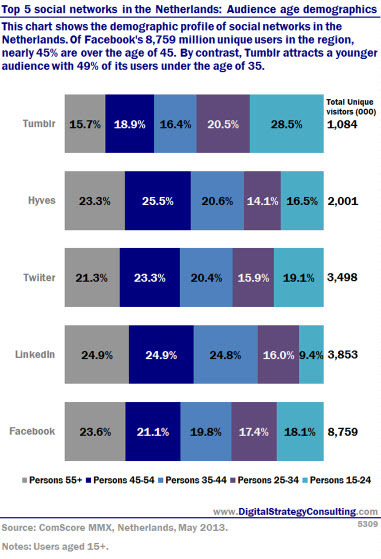 By contrast, Tumblr attracts a younger audience with 49% of its users under the age of 35. 10 million people accessed a social networking site in the Netherlands during May 2013. This category reached 85.3 percent of the total Dutch internet audience. Facebook was the clear leader with 8.7 million unique visitors; more than double that of LinkedIn who came in second place with an audience of 3.8 million unique visitors. Twitter ranked in third position with 3.5 million unique visitors that month. 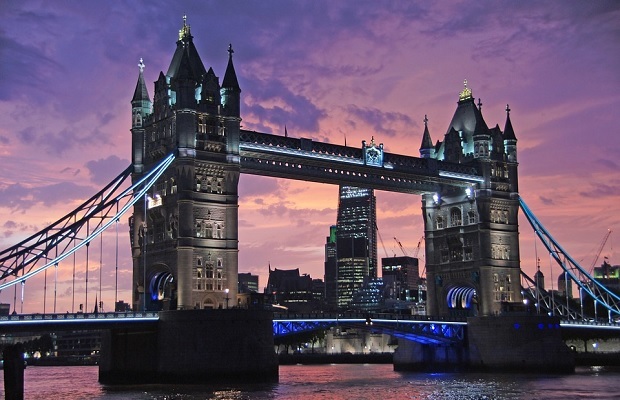 Following a host of new device launches this year, from Samsung’s Galaxy S4 to Blackberry’s Z10, new data released today by ad tech platform Adform has revealed that Europe’s digital advertising community has vastly increased its investment in programmatic mobile marketing, with a near three times (275 per cent) increase in mobile RTB (real-time bidding) spend in Q1 2013. Six European regulators have teamed up to bring legal action against Google to try to force the tech giant to overhaul its privacy practices. 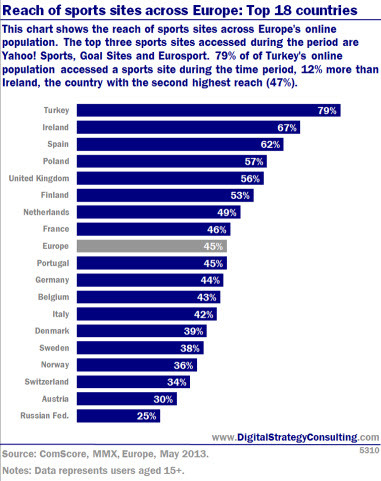 Russia has Europe’s largest internet audience, whilst Turkey counts the youngest users and the Netherlands has the highest market penetration, according to new data.